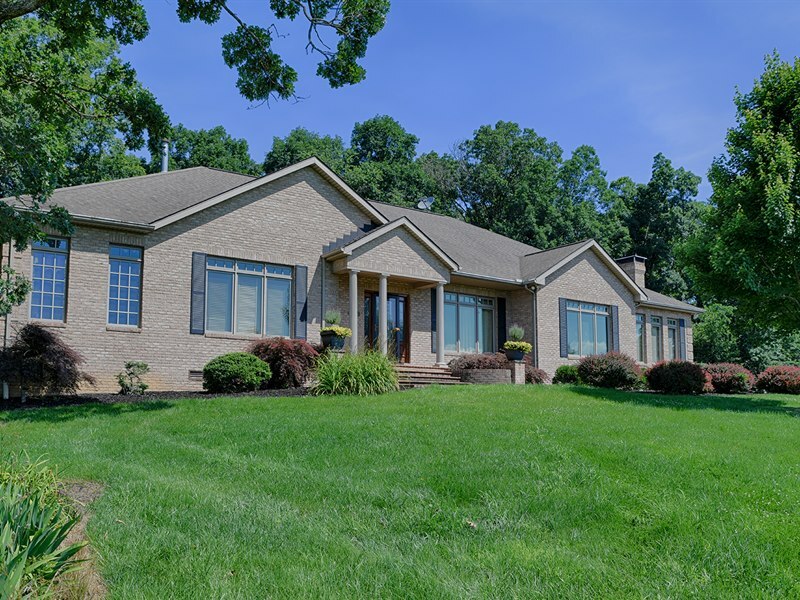 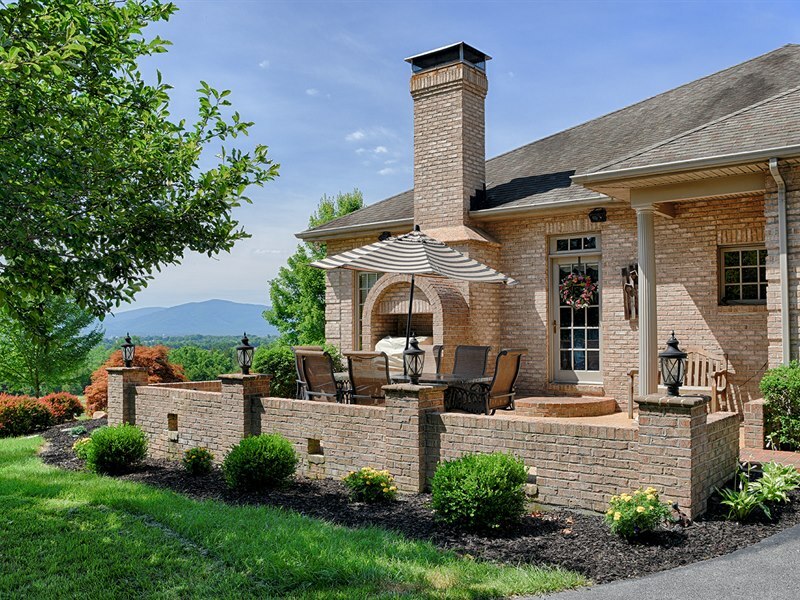 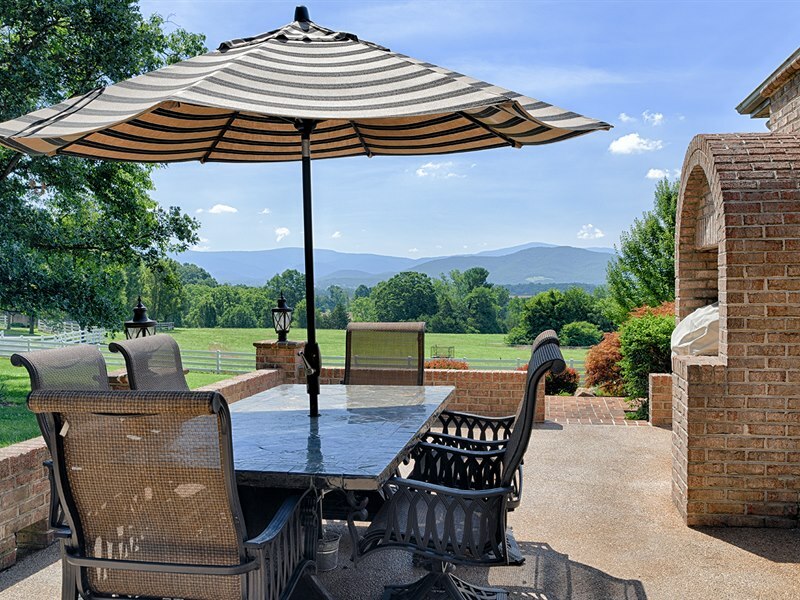 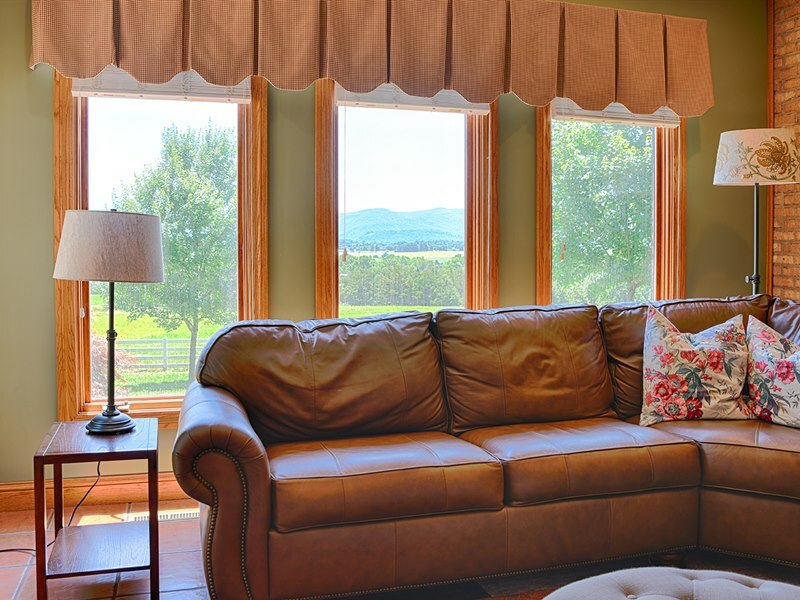 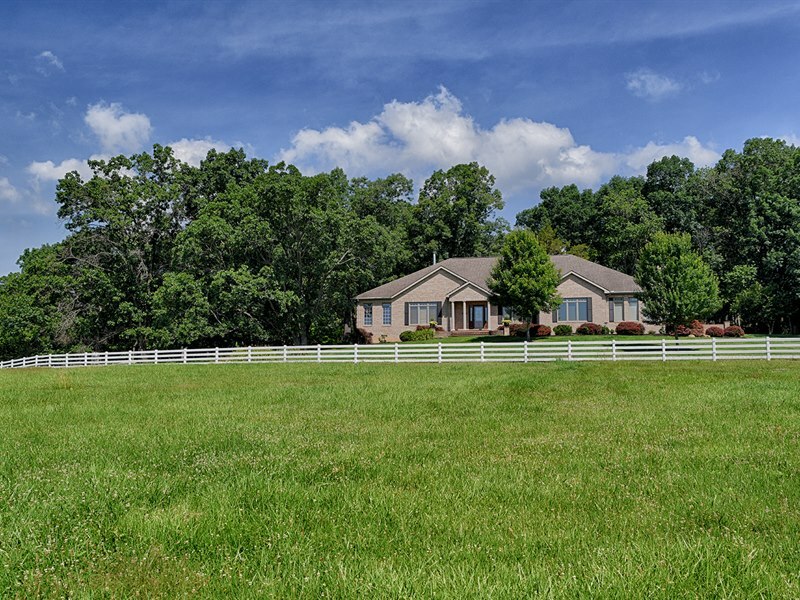 Enjoy easy one-level living at this lovely, well-maintained, Shenandoah Valley horse farm on 41+/- acres. 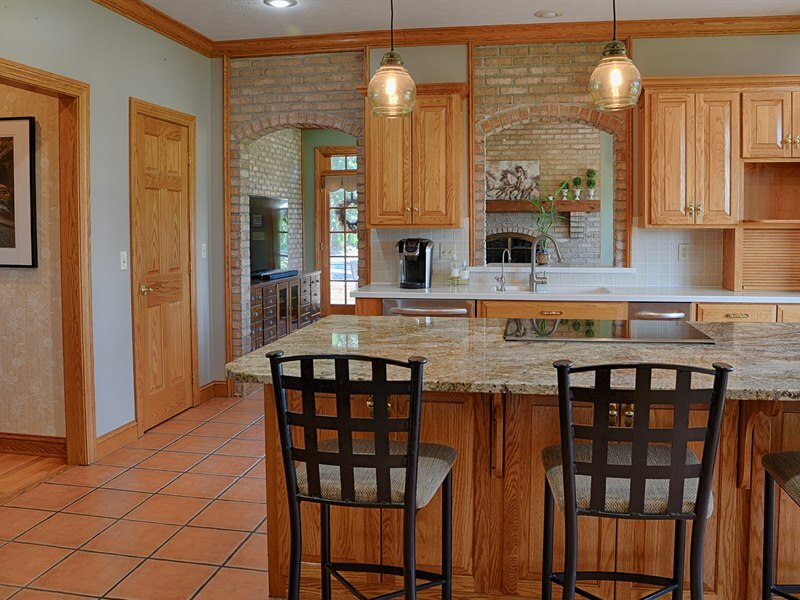 Cooks will love this home with its large island in the kitchen and the built-in gas, stainless grill located on the large patio. 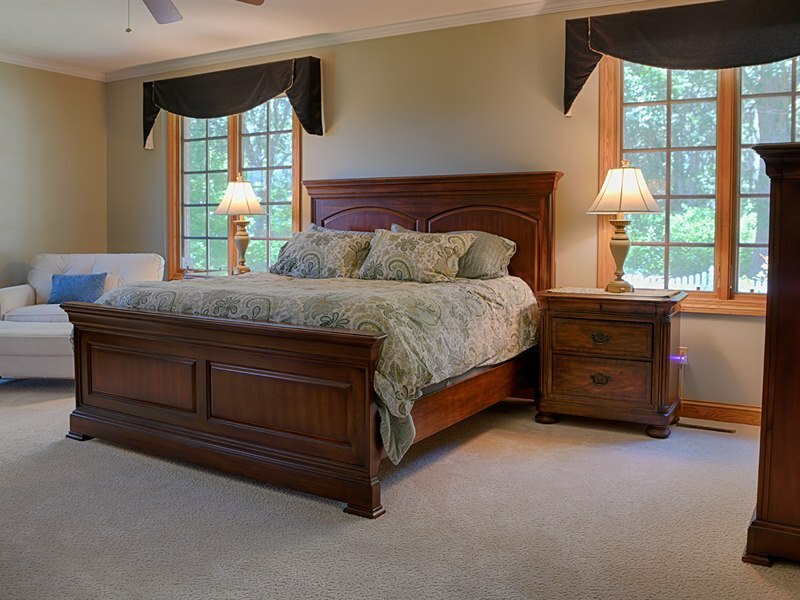 The home offers a split bedroom design with a large private master wing encompassing one side of the house. 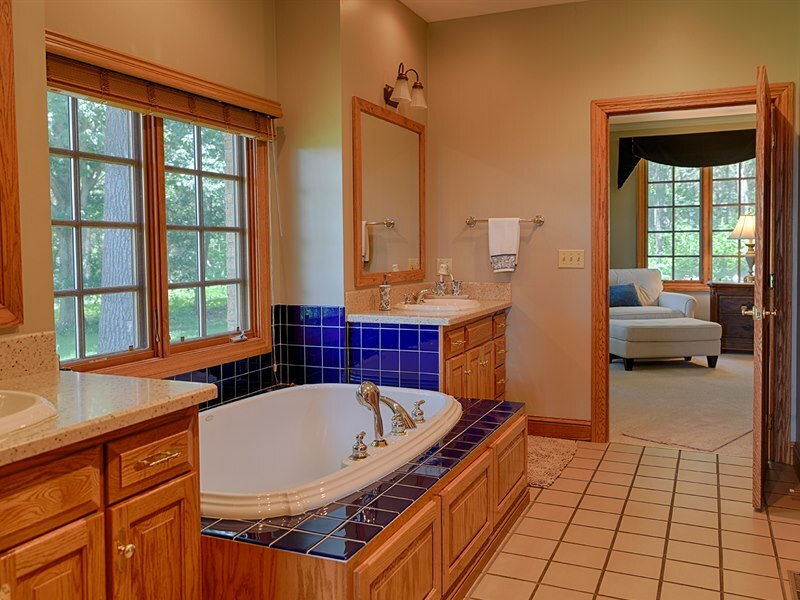 This wing includes a large masterbath and a jacuzzi room. 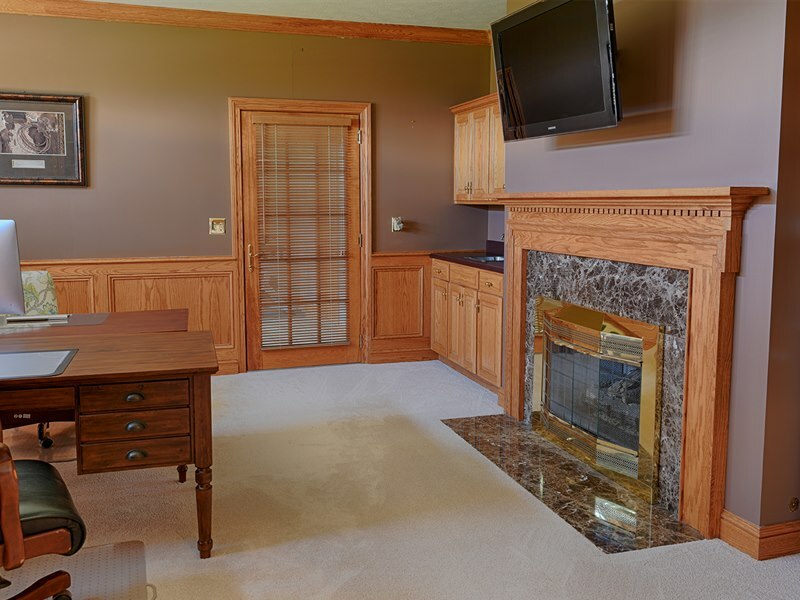 The home includes a sunken living room with fireplace, a formal dining room and a large office with an abundance of built in cabinetry. 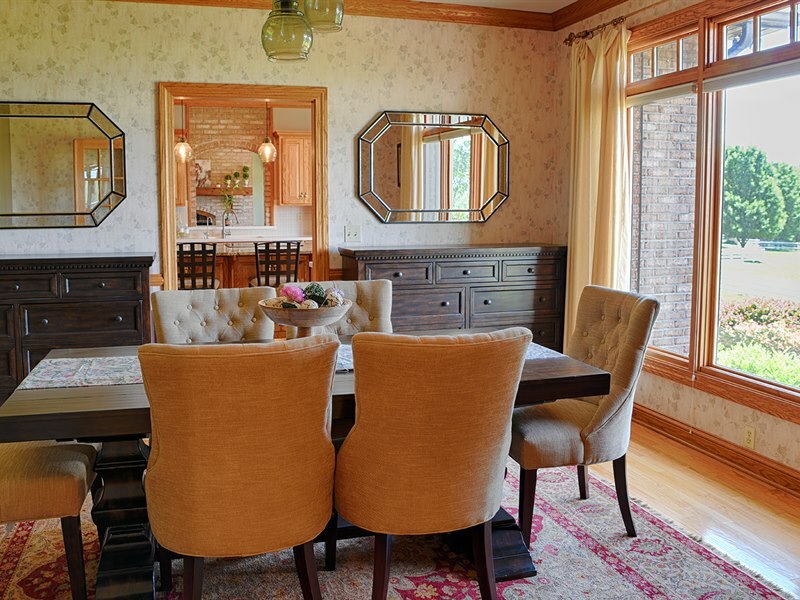 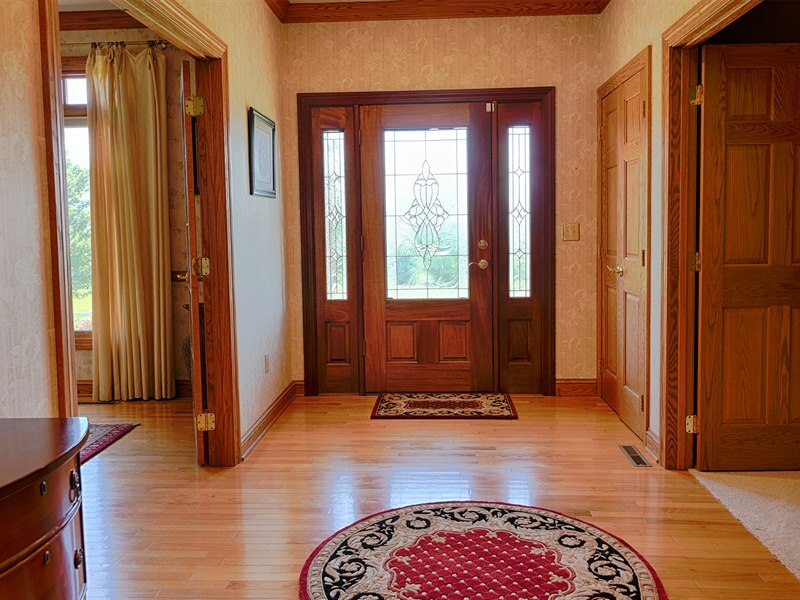 This home offers tremendous storage spaces with large closets throughout. 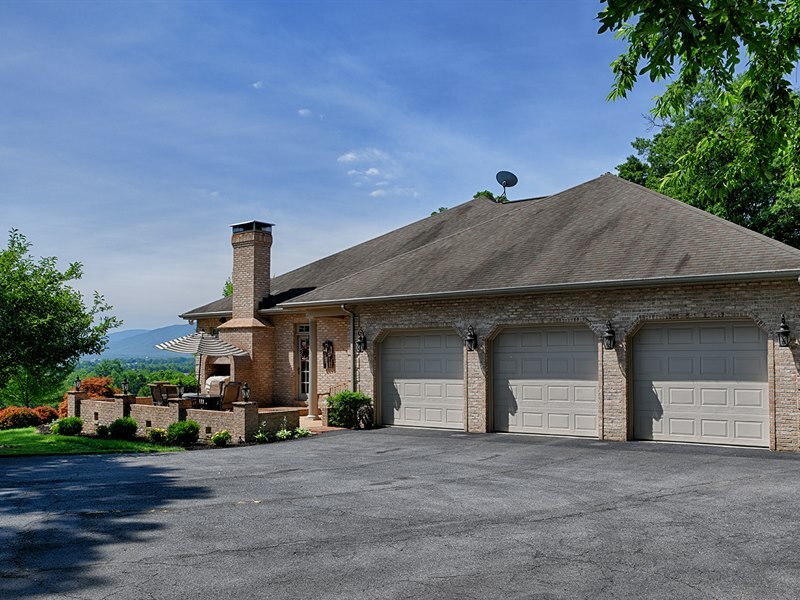 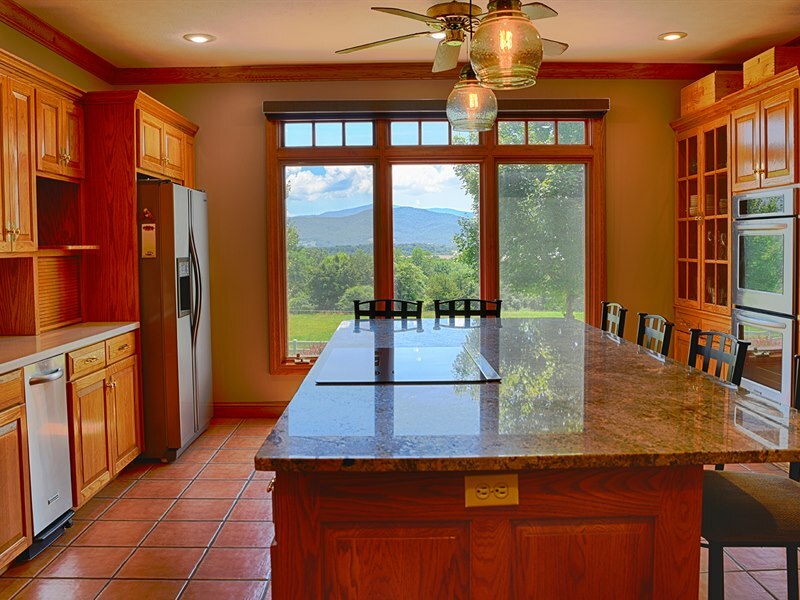 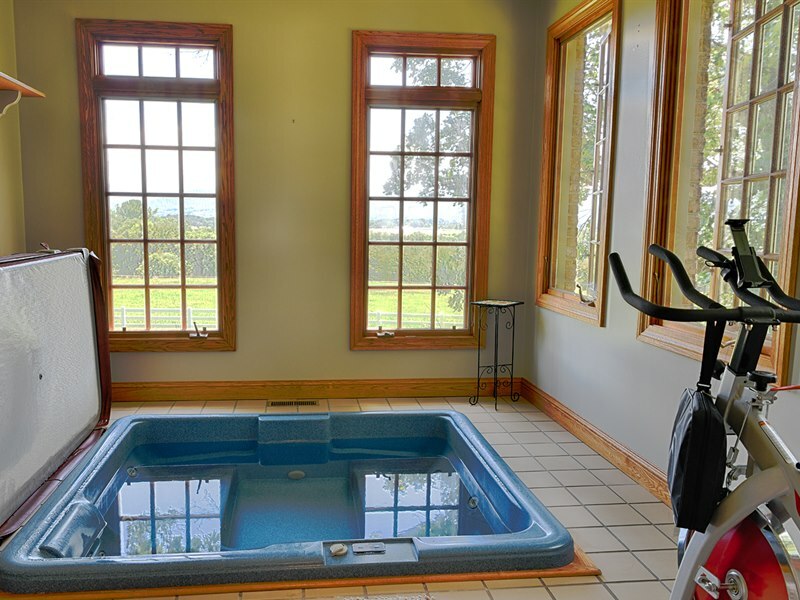 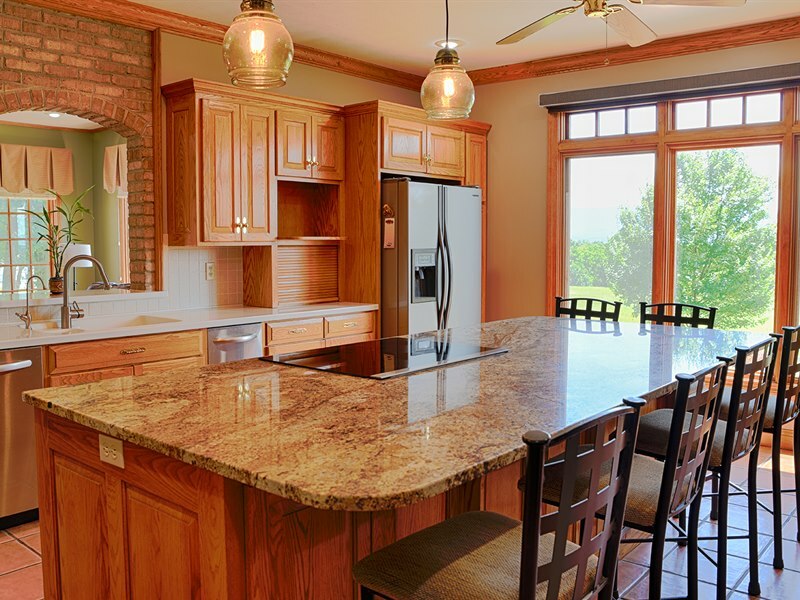 The home sits at the top of a small hill overlooking the farm and has breathtaking views of the Shenandoah National Forest. 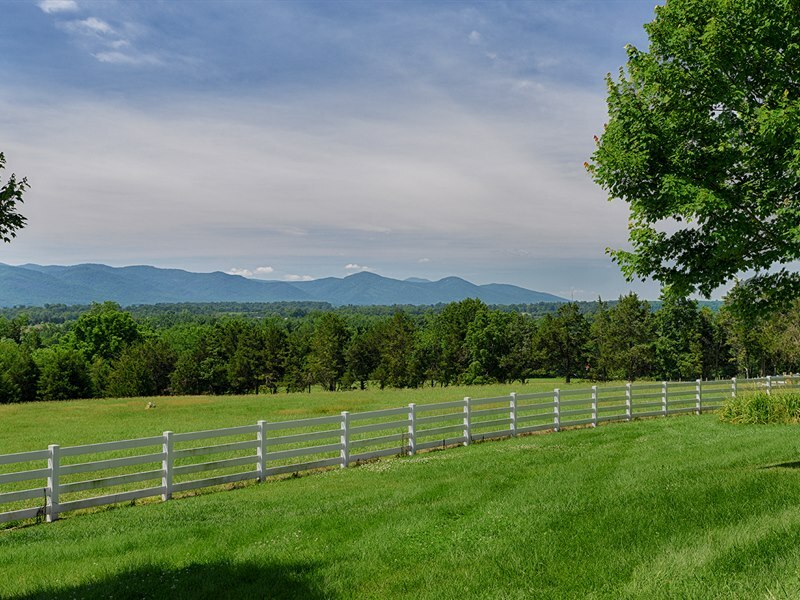 Most of the land is open and fenced for horses or used for hay. 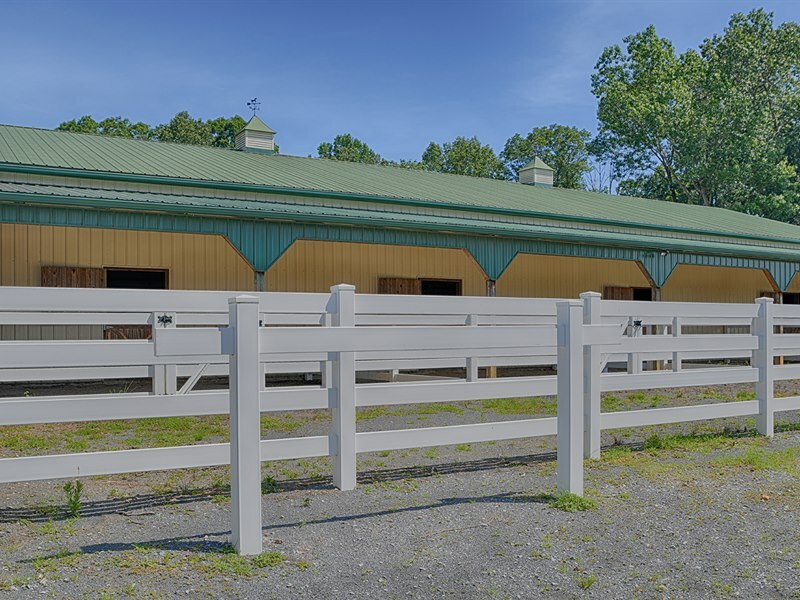 The 48' x 112' metal barn currently has eight stalls, four of which have turnouts and Dutch Doors. 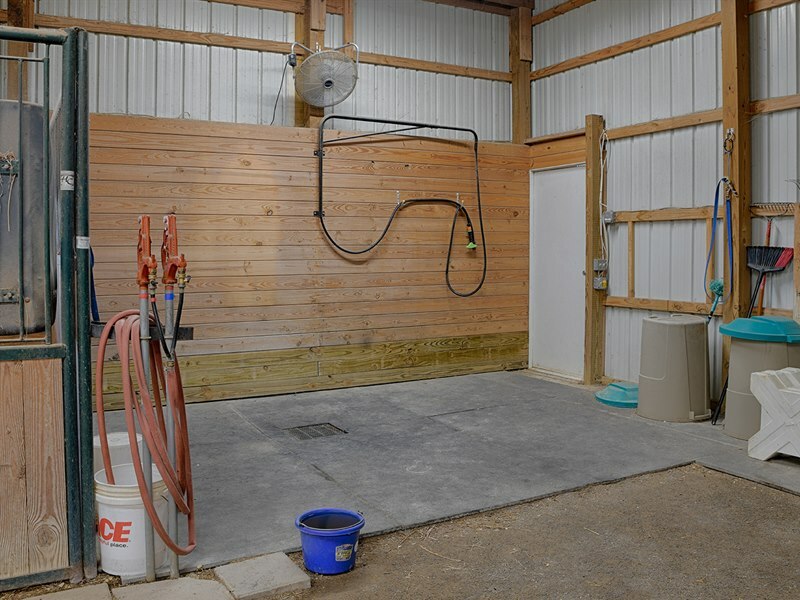 The stalls are equipped with swingout hay racks/feed buckets and all have insulated water buckets. 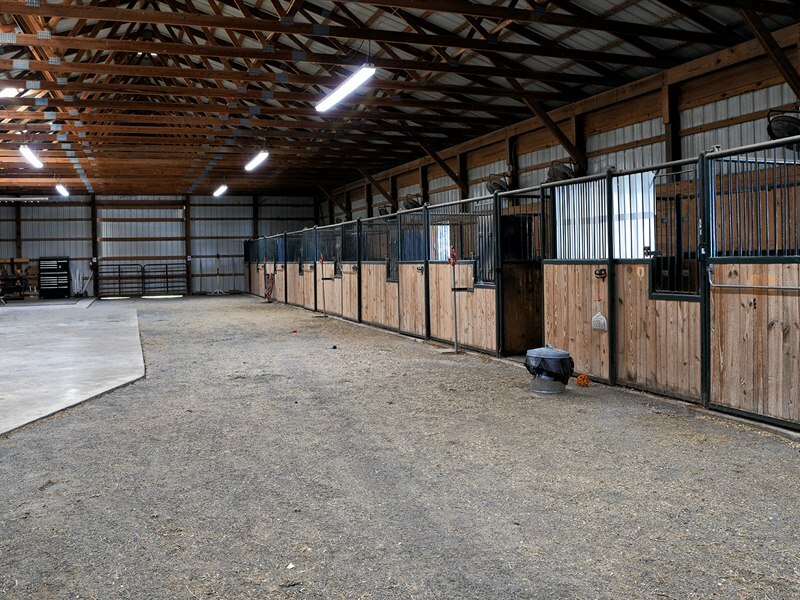 There is a heated tack room, wash stall and three hot water bibs and multiple water hydrants. 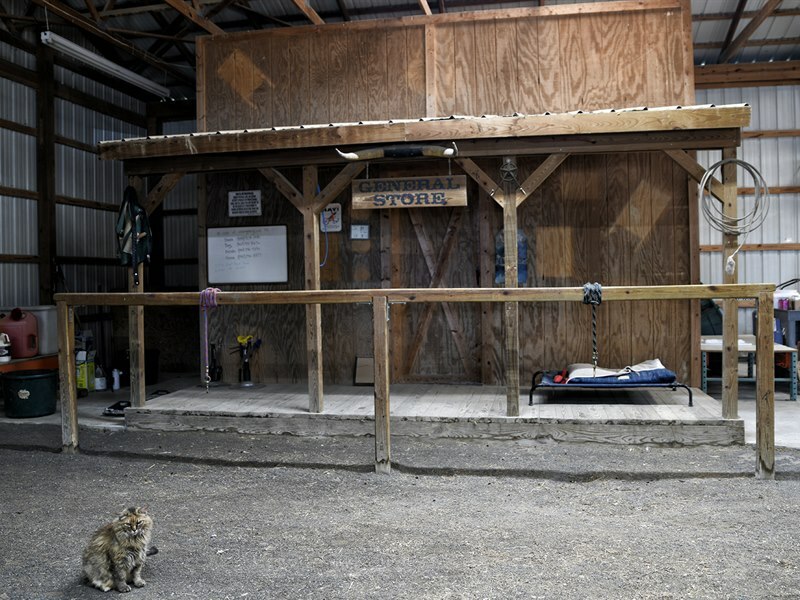 Currently a portion of the barn is used as a work area and shop, but could easily be converted to more stalls. 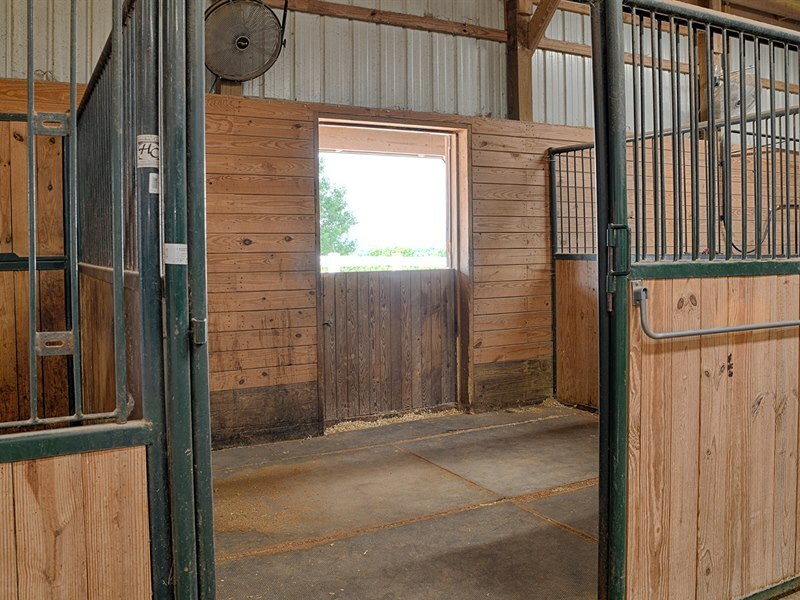 There is an 180' x 100' outdoor riding ring. 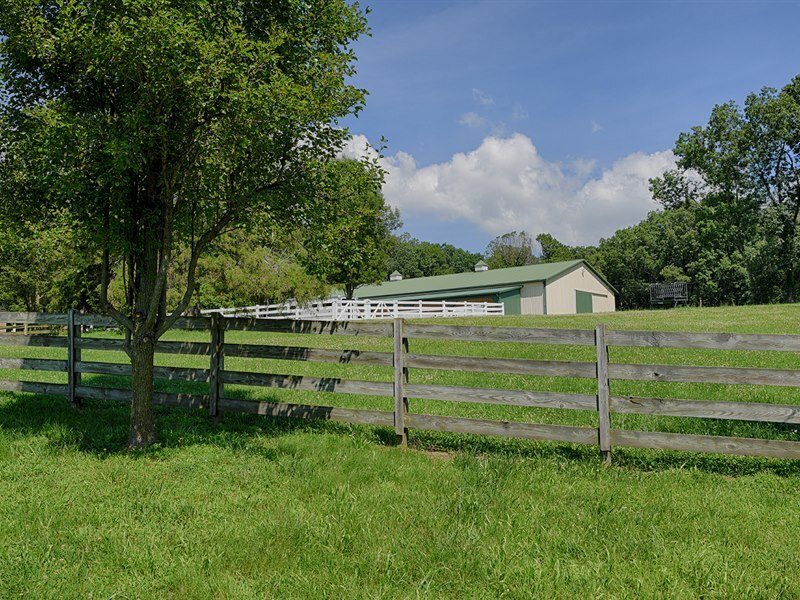 This farm could easily be used for cattle, sheep, llamas and alpacas. 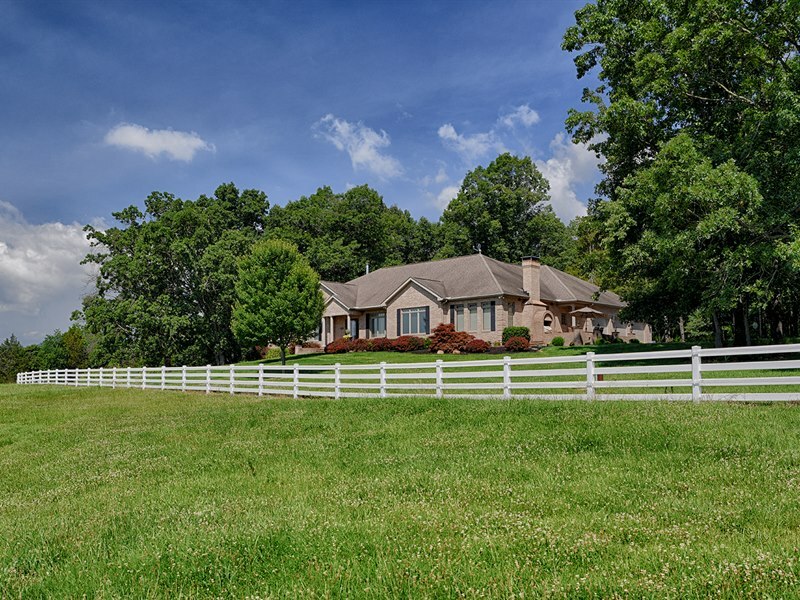 Lots of flexibility here with mostly open pastures and fencing in excellent condition. 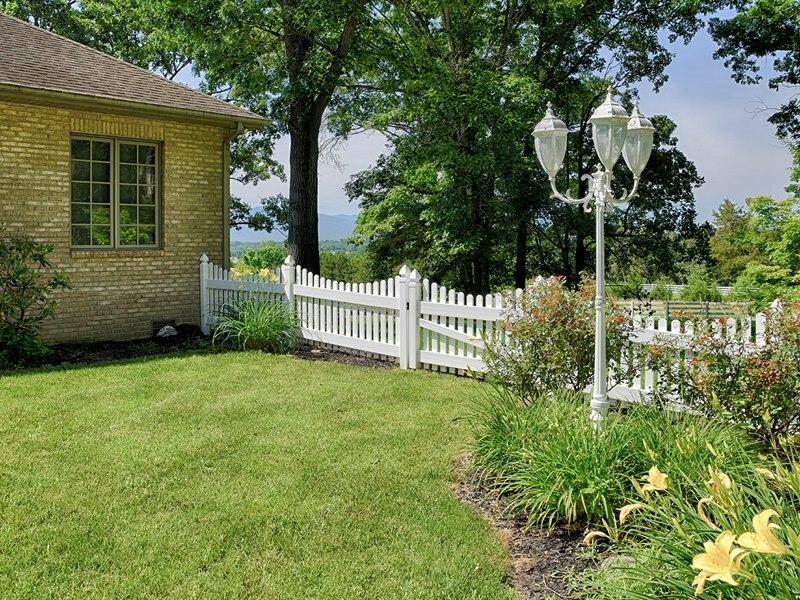 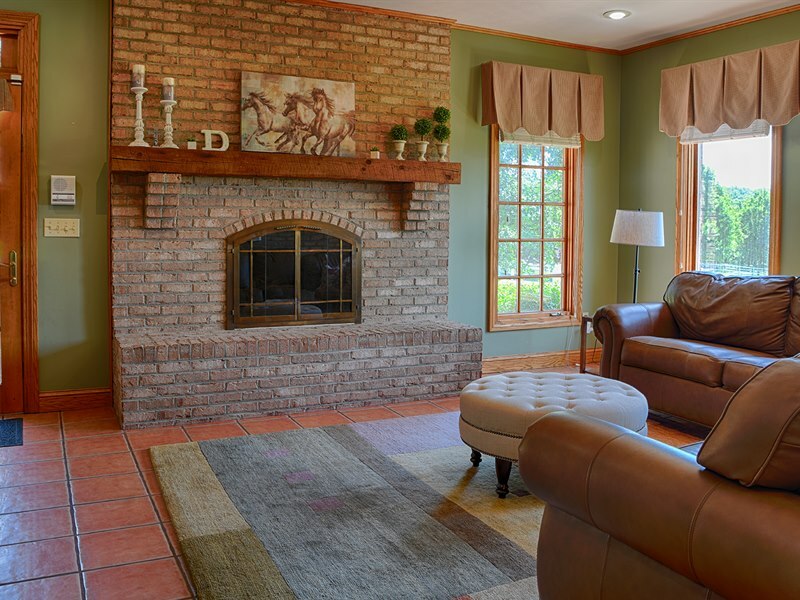 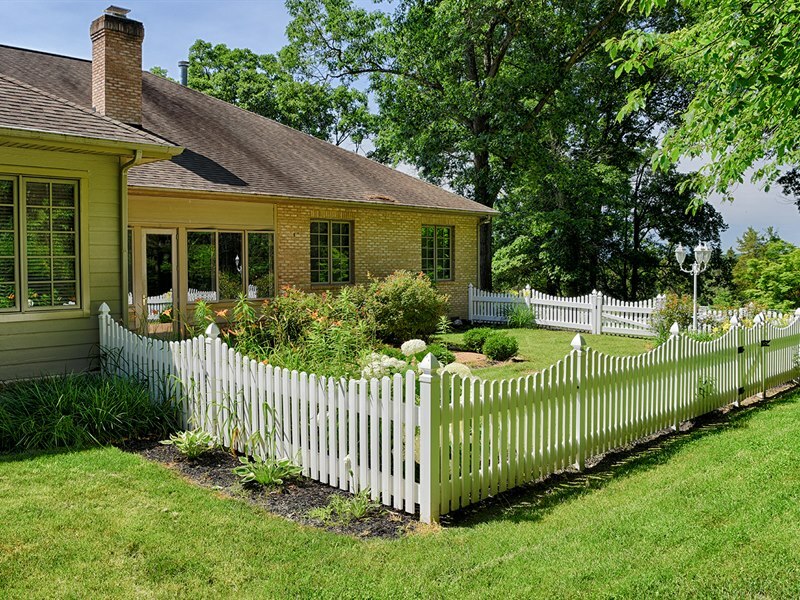 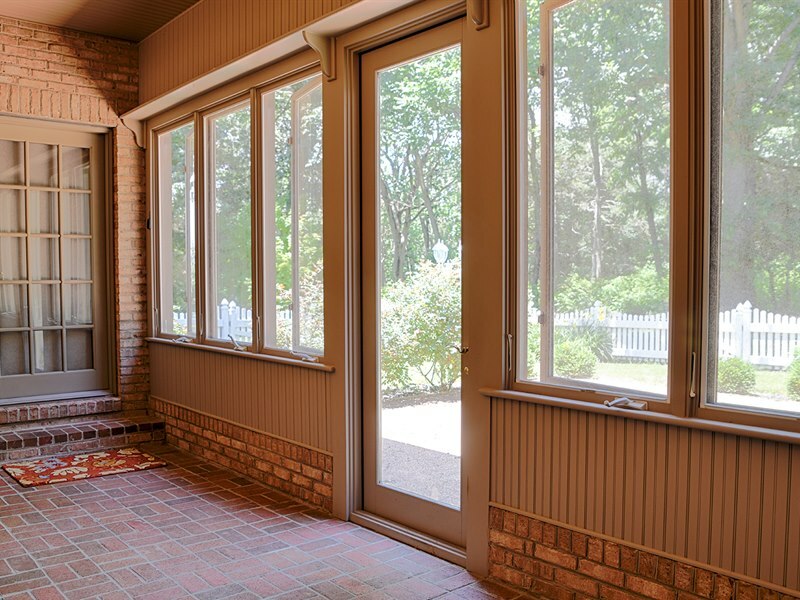 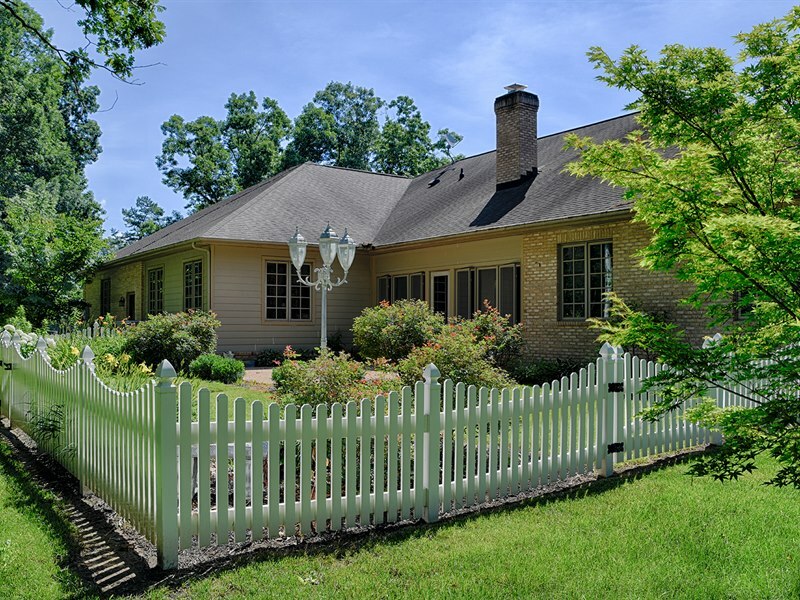 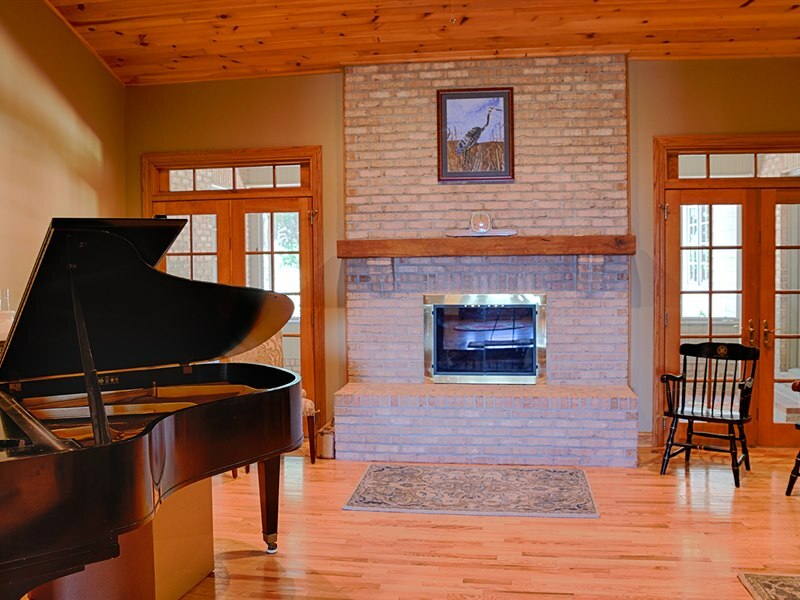 The property has a gated entrance and beautiful, well-maintained fencing. 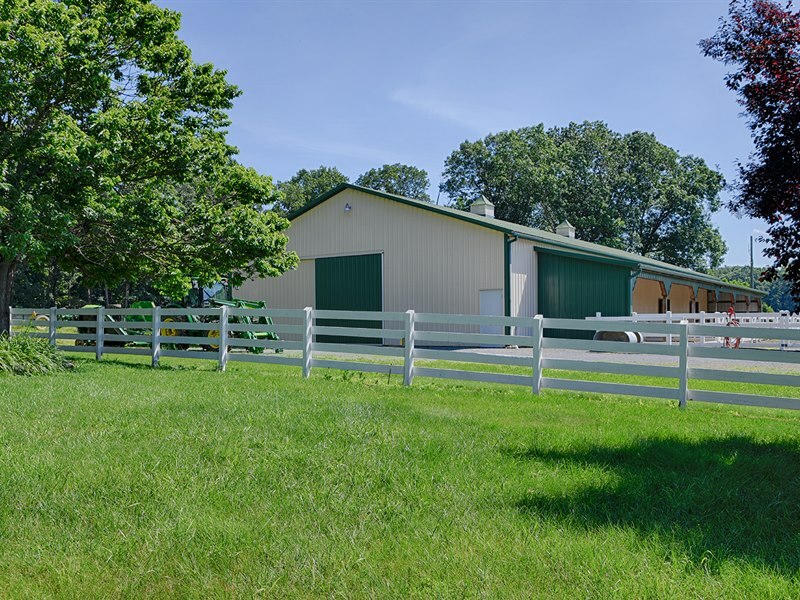 This is a farm where you will be comfortable moving your horses to! 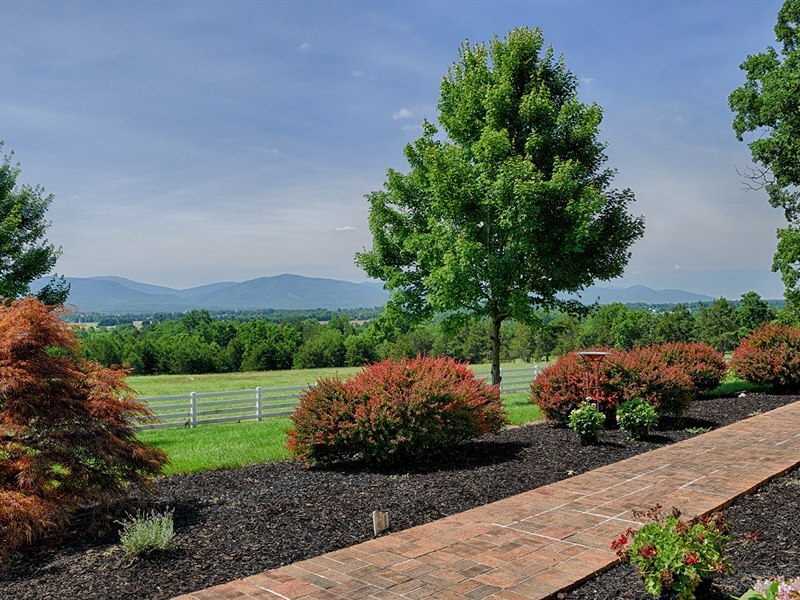 Located just 20 minutes to Harrisonburg and less than an hour to Charlottesville, all conveniences are within an easy drive!